At the end of the 21st century, Humanity, finally, more or less dealt with their internal conflicts and turned their eyes to the stars. But at that time there were no modern hyper-drives or superluminal communication, so the path to the stars was very primitive. The only technology capable of reaching them was laser sail propulsion. At this time, laser sails were used for interplanetary transport, but no one had yet tried to accelerate these ships to anything approaching light speed. Together, the largest countries (yes, while mankind was divided by the boundaries of his little blue globe, they were rushing to the infinity of space together) built on Mercury a laser facility large enough to power interstellar flight. 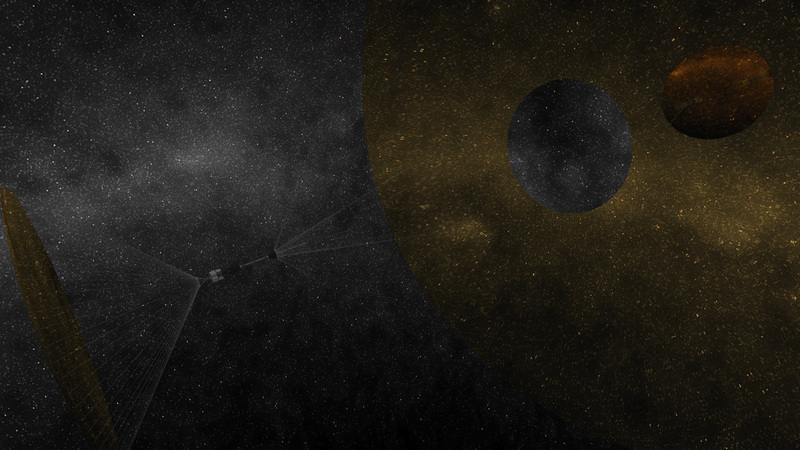 Of course, the first of these ships to fly to the nearest stars were automatic research probes. They were small spheres a few kilograms in mass with a two-stage sail many kilometers across. They had only system-specific navigation and lightweight spectral analysis equipment on board. Tens of thousands of such probes were sent for research, but few reached their goals and were able to fulfill their destiny. The first preparatory stage of Humanity's expansion into interstellar space lasted more than half a century. The acceleration and deceleration of probes was done over the course of months, some reaching 0.3 c sailed to their stars for decades. Yet more years passed before Earth obtained data from the probes by standard means of communication (quantum communication tools were still in their infancy and do not come out of the laboratories of the institutions). However, this phase was largely considered successfully completed. One of the nearest systems with Earth-like planets was chosen as the most suitable for colonization. This marked the beginning of the second phase - sending colonists. Over the course of the first phase, laser sail technology became much more advanced, and the lasers' power increased several times. Also, the first colonization ships were built. They were not very different from a tin can. The ships were fully automated, and the team, consisting of several dozen people, were put into cryogenic stasis for the whole flight. Despite the constant improvement of technology, interstellar flight remained highly risky. 70% of even the last probes had failed. Nevertheless, there were enough people ready to take such a risk. The first ships were lost even before leaving their home, colliding with undetected icy bodies in Sol's Oort cloud, rendered little more than another point in the sky. But that did not stop the adventure seekers. 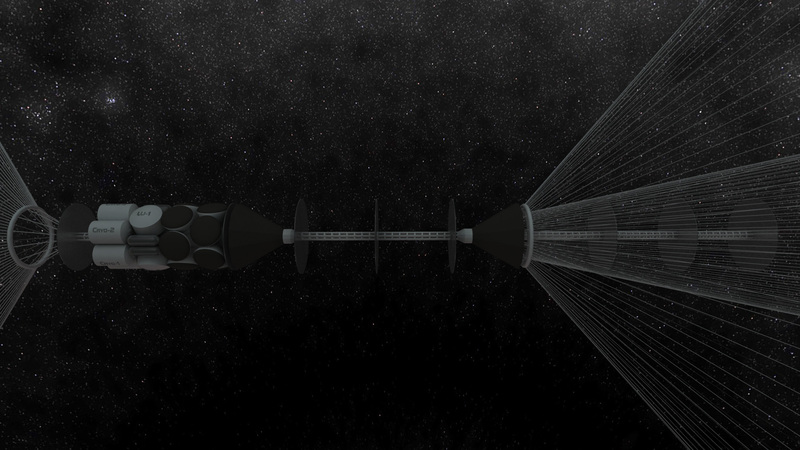 Eventually they were rewarded; "StarSail-3" cleared the solar system, making its team the first pioneers of interstellar space. But it was too early to celebrate success, its true goal remained decades away. Tragically, the navigation technology and precision of the larger laser was insufficient. Here are the latest reports received from the ship. Flight day 7536. I (Vladimir Popov), and two other team members, John and Lee Chang, were awoken from cryostasis by the automatic system due to a contingency situation. The braking phase was supposed to start today, but the laser was not detected. 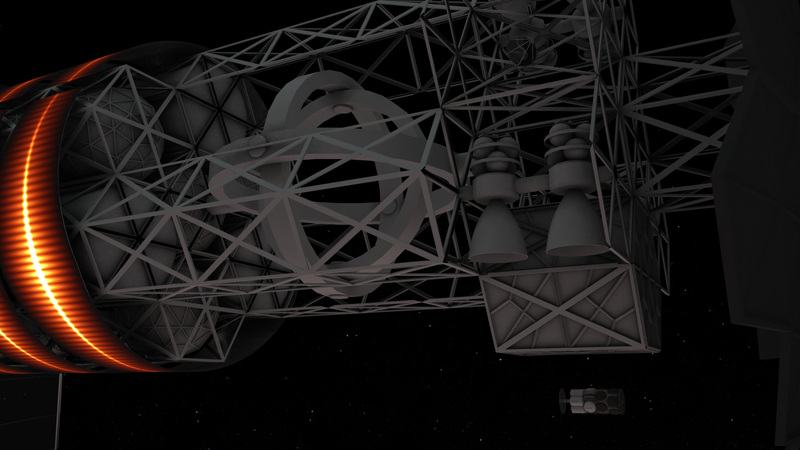 Otherwise, all systems are working normally, and the braking sail separated. The other command crew are warming up from cryostasis (they still do not know our trouble). Hopefully, you have everything in order, and we have not been forgotten :-). Day 2 after defrosting. All command crew have been informed of the situation and have begun to worry. We hope that the situation will improve before the braking initiation window is passed. Day 5 after defrosting. Tension is growing, the team has had a few conflicts and quarrels. Hey Earth, what's going on down there? Hopefully you haven't nuked each other. Day 7 after defrosting. This day has provided the most unpleasant discovery. The sensors have captured the scattered radiation of the laser almost 300 million kilometers from us! As soon as he heard the news, John lost his temper and nearly killed us all. We had to restrain him and lock in his quarters. Anyway, we are doomed. When this message arrives there will be nothing you can do to save us, and our tin can of frozen meat will fly through the void of space, missing the target. And all because of some 300 million kilometers. How negligible it is compared to the distance we have already come, but how incredibly much for our feeble maneuvering engines! Day 10 after defrosting. John is still insane, lying calmly bound in his cabin. We are deliberating on our next course of action. We don't have many options: die now or die later. One thing is decided for sure - we will not defrost the rest of the team. Better to let them die in blissful ignorance. Not to mention the life-support system is not designed for such a large number of people. Day 30 after defrosting. I do not know how I should feel, condemned to death, but we have no emotion left. More precisely, any sensation left at all. We persist in a vegetative state, waiting in the wings. Even John has been unleashed, though he still does not talk to us. I'm wrong, though, one sensation is left - that of intolerable waiting. The reactor and the life-support system could prolong the agony for many years, but our minds are already broken. Day 37 after defrosting. John tried to commit suicide, exposing the vein, but we stopped him, and restrained him again. Although I do not know why. The habit of clinging to life until the last? Day 45 after defrosting. The incident with John finally eroded our spirits. We've unanimously decided not to extend the agony of waiting for the inevitable. We will pass to you our velocity and coordinates at which we see the laser. This is the last message. After it is sent, our life-support system will be deactivated, and we will plunge into darkness and permafrost. Goodbye! There are hundreds of ships like "StarSail-3" that were lost during the sub-light era. Many of them were destroyed, but some have ended up as "Flying Dutchmen" - ghost ships, flying forever in the endless void of space. 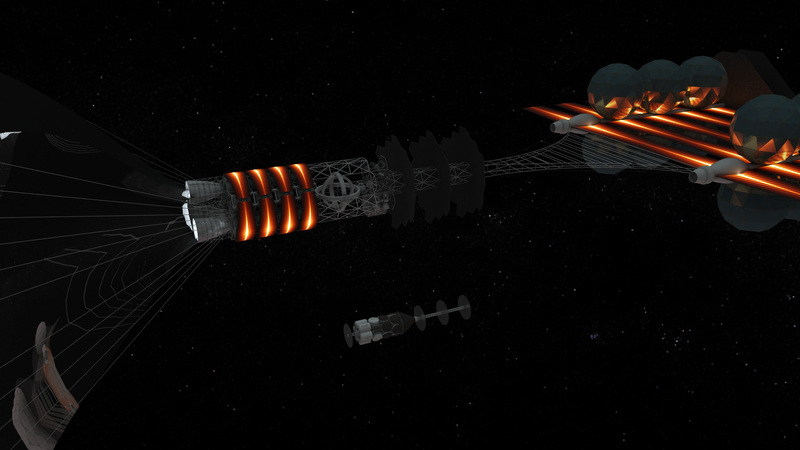 Radiation shields can protect sublight ships from the interstellar gas for hundreds of years without any problems, and a cryostasis systems are quite stable. Many lucky crew members are still in nominal cryostasis. They were frozen on Earth by special equipment that prevents the formation of crystalline ice, and there are more simple devices for defrosting on board the ships. Therefore, those to be frozen need not fear the cold of space, and in fact are more resistant to radiation. So, despite the fact that centuries have passed and those frozen are considered ghosts, they can still be saved. It possible to do more than simply honor these brave star pioneers. And you can help us in this challenge. The longest and most complex stage of such a rescue operation - searching for these lost ships. It can be done today, but requires a large number of ships with hyper-drives. We have a database containing data on all lost ships, indicating the probable areas where they may be found at this time. Unfortunately, many of these areas are so large that finding the ship is almost impossible. But many ships have rather constricted trajectory probability spaces. Such areas would be highlighted by a specific emission spectrum. The challenge in searching for these ships is to scan the illuminated area, approaching it with the hyper-drive and recording the reflected radiation. In the future, the scanned sector is marked in our database as investigated. Many ships of the sub-light epoch are very small, and they can be detected only at a very short distance. Therefore, every additional ship involved in the search is vital. Another challenge of the rescue operation is the high velocity of the sub-light ships. Modern ships with hyper-drive do not need the engines capable of reaching fractional sub-light speeds. Catching up the laser sail ships, is usually possible only by other laser propelled ship. This means that modern hyper-drive ships cannot capture or dock with a ghost ship. Hybrid rescue ships have been designed for such operations. They consist of a normal modern ship with hyper-drive, but are equipped with a laser sail and antimatter braking engines. "StarSail-3" on the background of the rescue ship. After discovering and pinpointing the position of a lost ship, a rescue ship is prepared for the expedition. It is sent out the same system from which the ghost ship was launched. Acceleration of modern laser ships at 10g up to cruising speed takes a few weeks of real time, and is fully autonomous. After reaching the required speed, the hyper-drive is activated, and the ship reaches the target almost immediately, preserving its subluminal speed. The rescue ship can then easily equalize its speed and converge on the ghost ship. The ghost ship is also protected by radiation shield of the rescue ship. The next step is the rescue of the crew and passengers in the cryochambers. The player who discovered the lost ship can participate at this stage with other players who participant in the search operation, by using telepresence systems, remotely controlling robotic manipulators and support ships. Depending on the type and size of rescued ship, different transportation options are necessary. Small ships of the first wave of colonization can be transported whole, by completely loading onboard of the rescue ship. Larger ships with bulky propulsion systems will need to be detached, or only the cryochamber bays loaded onboard of the rescue ship. Loading the "StarSail-3" into the rescue ship. Braking also occurs in fully autonomous mode and takes several weeks, as with acceleration. To do this, the photon propulsion system is detached from the ship, and braking sails are unfurled on the opposite side of the ship. Thus, the photon system acts as an external braking laser, and the ship remains independent of the infrastructure (having learned from the failures of the laser systems of the early space era). After braking, the photon sail is disassembled. After braking the rescue ship from fractional sub-light speed, it can be docked with another ship and move freely among the stars. At this stage, the player who discovered the ship is entitled to deliver the rescued crew to its original target system, or to Earth, if the target cannot be colonized. After that, the mission is successfully completed, and the rescuer gets a lot of beer and gratitude :-).